Female butterflies generally choose among male suitors, but in the tropics with hundreds of close relatives living in close proximity, how can they decide which males are the right ones? After all, if she mates with a male of another species, she is unlikely to have surviving offspring. One solution is that males of some species have scent producing organs on their wings, so if a male has the right smell, the female will presumably be receptive to his advances. Strangely, males of some species lack these scent producing organs, which would seem to be a huge disadvantage. Biologists have theorized that when a species loses a male scent producing organ during evolution, its closest relatives do not occur in the same places. In other words, the female does not have to choose among males of the most closely related species, and the males do not devote energy to producing scents. A team of researchers, led by Dr. Robert Robbins from the Smithsonian Institution, digs into this question in a small group of Latin American butterflies in a study published in the open access journal ZooKeys. 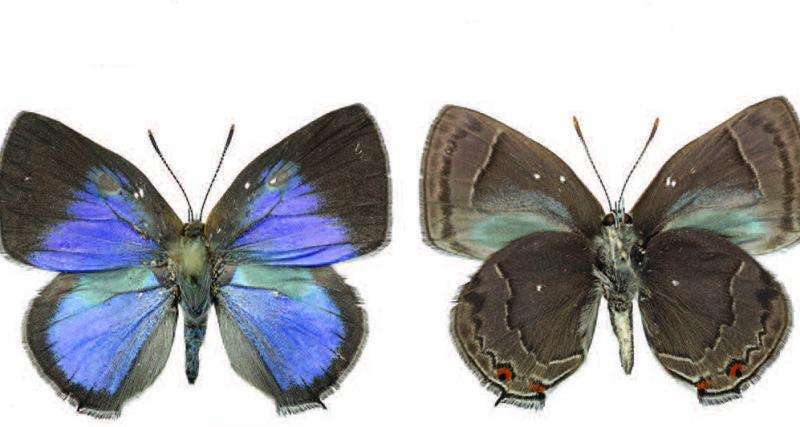 Two newly discovered representatives in this butterfly group possess scent pads while their closest relatives do not. 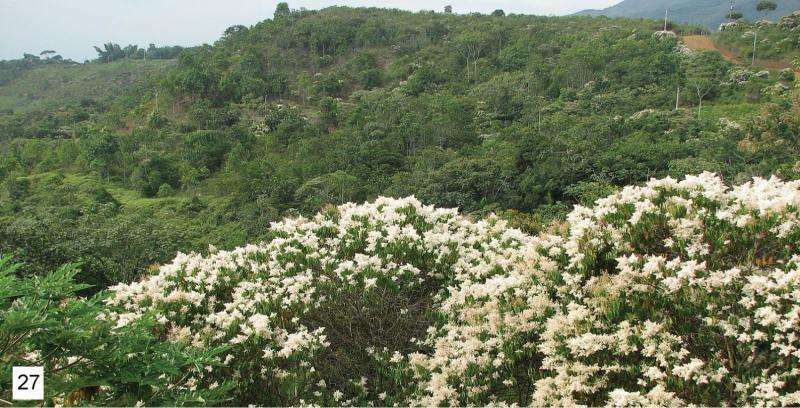 The researchers report that scent pads were lost evolutionarily twice in this group, and as predicted, in each case, the species without the scent pad does not co-occur with its closest relative. The present study adds more evidence to accumulating support for the explanation why some males lack scent pads. 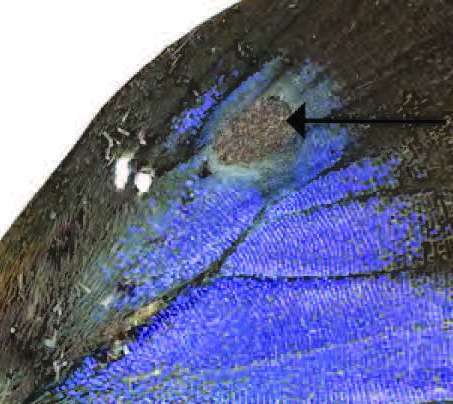 Evolutionary losses, such as the one observed herein in Thereus oppia and related butterflies, are quite common, as Dr. Robbins and collaborators have observed in a previous research. Such disappearances of male secondary sexual features have been explained by geographic isolation of a species from its closest relatives, and the butterflies in this study are no exception.